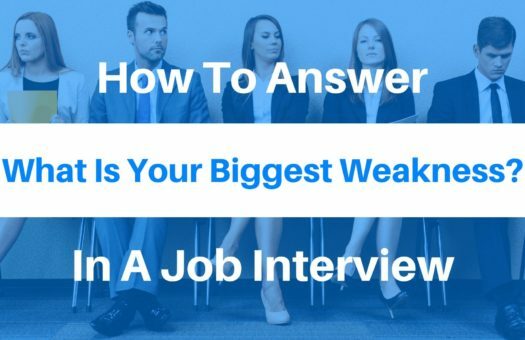 When preparing for job interviews, you’ve probably rehearsed answers to behavioral questions and practiced some case studies — but did you double check your body language? Probably not. Here’s a fast fact – research shows that roughly 55% of communication happens through nonverbal elements like facial expressions, posture, and gestures. Another 38% of your communication is comprised of vocal elements like your tone and emphasis. Only 7% of your communication is made up from the words that actually leave your mouth. The truth is, most job seekers spend 99% of their interview preparation on improving the aspect of communication that matters least – the words they speak. Which is why I brought in Jenna Lange, an expert on the psychology of highly effective communication. Jenna and I met at a Microsoft conference where she gave an amazing talk on effective communication. Not only did she describe why a holistic approach to communication is important, but she also gave us some amazing exercises to help you quickly analyze a scenario and adapt your communication on the fly. I learned a TON and I knew she would be an awesome resource for you all. If you’re struggling to turn your job interviews into offers, this might be the silver bullet to success. If you love the interview, make sure to check out Jenna’s book Please Don’t Picture Them Naked to take your communication to the next level. Austin: Hey everyone welcome back to another Cultivated Culture expert interview, I have Jenna Lange with me here today and Jenna is the founder of Lange International which is a consulting firm that aims to turn people into amazing communicators. 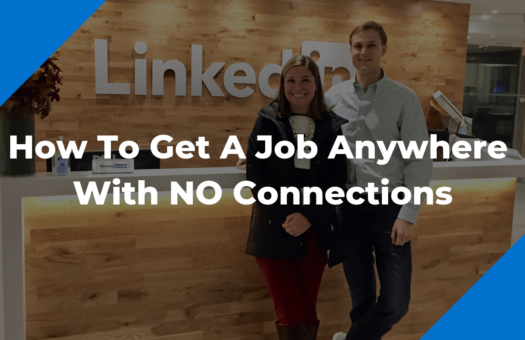 We all know that the job search communication is a huge part of that, if you want to excel, if you want to land your dream job. Jenna I’m super excited to have you here today. Jenna: Absolutely, I’m excited to be here and hello. Austin: Awesome, we met actually at a Microsoft conference a couple of weeks ago and you gave this amazing talk on how to be an effective communicator and you ran through some exercises, you talked through some of the mistakes, the common mistakes that people make when they are trying to get their message across, some things that they do that they think are received well that may not be received as intended, then also what they can do, some exercises that they can go through to turn themselves into highly effective communicators. I loved it so much, I came up and chatted with you afterwards and we set up this interview. I’m really really excited because a lot of people in my community obviously want to go out there and they want to get their dream job and I teach them a lot of stuff that they can do behind the screen, I teach them how to send cold emails or track those emails or build relationships online, but at some point you’re going to have to get in a room or on the phone with somebody. That’s when it gets real and you don’t have, you can’t open up that email that I sent you or even the email that you sent somebody when you’re in the room and you’re in the conversation. Jenna: Exactly, like excuse me, I’m just going to check my notes. You’re not allowed to do that. Austin: Your little flashcards there, yes. That’s why I’m so excited to have you here to share some of your knowledge because effective communication is absolutely the key to sealing the deal. You could do everything right but then if you show up in the interview process and you don’t effectively communicate your message, what you’re all about they’re going to go with somebody else who did. 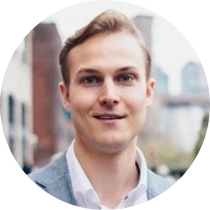 I’m incredibly, incredibly excited to have you, why don’t you start by telling us a little bit more about Lange Consulting and what you do there, who you work with there, all that good stuff? Jenna: Absolutely, this moment that you talk about is what we would call in my organization that high-stakes moment of truth. The nexus of our organization and how I started in this business was really working in high-stakes environments. Picture New York city working with a team of investment bankers who are going after a huge deal, we’re in the 34th floor of a building, it’s nine o’clock at night, there’s pizza boxes stuffed up to the ceiling, people’s ties are loosened up and they’re really uncomfortable because they’re getting ready for a moment the next day which is make-or-break for their business. That’s how I was trained. That’s the environment I was trained in and what you need to be able to consult and coach executives in that moment is helping them understand how to have that confidence, that presence, create relevance and be their best authentic self in that moment because so many times and we’ve done tons of research and seen so many situations, you walk out of that room and you say to yourself, “Uh, I wish I would have.” Nowadays where things are so time-compressed we’ve got to make the most of those moments. That’s the foundation for which my business was built, we built Lange International with the idea that we’re going to transform individuals into great communicators particularly when the stakes are high, that high-stakes environment is relatively unique and that’s exactly what all of us face when we’re walking into an interview. Now, the way that we do that and the people that we work with is wide-ranging, you and I met through Microsoft and Microsoft and other organizations and the technology space are definitely some of our clients, we also work with financial services, we work with retail, all of them face different scenarios. The investment banker scenario we know, the tech scenario is you’re walking in and somebody says, “Why Microsoft?” You’ve got to be able to answer that question and they’re watching you and listening to you at the same time, the investment banker. Then we’ve got the retail environment, one of my favorite stories is working with The North Face and helping them deal with media in certain context. Jenna: [laughs] I don’t know if I’m the shining example of why that’s wrong, that’s wrong and you’re the example. Jenna: That I exist I guess, that I help people with this is an example of that, you’re not just born with it. Austin: Exactly and you found the formula to help people go from thinking, there’s no way I could do that to actually doing it which is so so cool. For a lot of the job seekers that I talk to, I mentioned that they do a lot of stuff behind the screens and all that and they do prepare, they write email drafts or they tweak their resumes, they tweak their cover letters, they spend hours and hours doing that but then when they hop on the phone a lot of people don’t prepare nearly as much or equally as well. I’d love to hear more about that process, the same one that you’ve used with clients or that I sat in the audience while you were giving at the summit. I’d love to hear you walk us through that process so people listening can have an actual plan that they can go out and execute after listening to this in advance to their next interview so that when the jitters start to happen and maybe they think they might start rumbling or anything like that they know what to do, they’re already prepared and that’s off the table and they’re ready for that big moment. Jenna: Thinking about your audience and this is an audience that I’m thrilled to be talking to because I’ve been in situations where it’s been high-stakes and I’m being interviewed that happens in the sales capacity, that happens when someone’s evaluating you as a keynote speaker and it’s hard to be your best authentic self in that moment and none of us wants to walk away and say, “Oh, I wish I would have.” I’ll tell more stories about that later. In thinking about this group I was thinking there are three big things that I want to leave you with in how to prepare yourself for these interviews, be it face-to-face, Skype, virtual medium or over the phone. That’s it, that’s not a good thing, you don’t want to do that. It’s not only at the end of the conversation, it’s throughout the conversation, you want to be able to ask questions back so that you can tailor every single response that you have to that person and exactly what it is that they’re looking for which I’m sure you’ve talked to your listeners about in the past. Another thing to think about with questions is a lot of us over-answer and I call this the spray-and-pray. I’m going to give you an example, I want you to ask a general question of me and I’m going to give you the spray-and-pray and then I’m going to give you another strategy, ask a general question to me. Austin: Sure Jenna, why don’t you tell me a little bit about why you’re interested in working at Microsoft? Jenna: Oh my gosh, I have looked at Microsoft all of my life, I remember when I first saw Windows and Windows was this operating system that I didn’t know a lot about but I saw the logo come on my screen and I was really compelled to work at this organization. When I think about Microsoft I think I can really– And I’m just going to keep going and going. There’s not a lot of structure to that response, and the more that I talk, the more nervous I’m going to get and the more I’m going to want somebody to help me get out of it, then you have a situation where somebody starts asking you questions in the middle and they’re driving the conversation and then you’re no longer driving it. Why do you want to work at Microsoft? That’s your question, right? Jenna: I could answer in two different ways, one is I could give an answer and then ask a short question back, or I could stop and simply ask a question back. I know sometimes for a lot of us in an interview situation that feels uncomfortable to stop and say, why do I want to work there in terms of historically throughout my life, or why am I interested in this position, and I go back to a question and then that person on the other side might say, “That’s a good question, I want to hear why have you always wanted to work here?” Or they might say, “No I actually want to know why you think you would be the best engineer at this company.” Then it’s more focused and you know exactly what they wanted to hear rather than making up some story. That’s one strategy, to just follow up with the question. And you start to ask every single question back to a question that you get and then it ends up being the scene, there’s a movie The 40 Year Old Virgin, I don’t know if any of you on this call have seen it, but there’s a scene where Steve Carell gets some coaching and he’s told to go just ask questions when he goes into this bookstore, he literally just asked questions. Imagine you’re interviewing somebody is like, “Why do you want this job? Well tell me what the job entails, well I actually want to know why you want it.” “Well, tell me what criteria you’re looking for.” That’s not what I recommend. You really want to practice this on camera so that you understand how do I ask the questions and get the timing right and then how do I answer them concisely. You could have your friends and family practices with you. What I do with my coaching clients is I have a three second rule, I was just on the phone with the CEO yesterday morning doing this and it is really hard. You get a question and you have three seconds to respond and that’s it. If you can do that you’re going to show that you have the ability to really focus in on the most important details and that you are appreciating their time because one of the things that we do when we over-answer is that we’re saying to them, “Your time is valuable I’m going to take all of it with my response.” Three seconds you respond and then they get to respond and ask you what else they need to understand a little bit more about that question. That’s idea number one, do you have any questions about what I just said Austin? Austin: [laughs] I thought you were going to put me on the spot there with the three second thing and I was just trying to get ready. Jenna: Yes let’s do it, do you want to? Austin: Potentially in a second, potentially in three seconds but I’m really glad that you brought that up because there’s a couple of things that are really powerful and obviously the whole thought process behind that is powerful but for me specifically there’s a lot of research out there that shows the mode that somebody talks especially about something that they’re passionate about or something that means something to them in a personal sense, the higher the likelihood of them creating a positive association with the person that they’re conversing with. Harvard did a study on that and they basically found that people were much more likely to answer questions about themselves and they actually had a monetary aspect where people would actually forego getting paid in order to answer your questions and talk about themselves. That’s how you start building this positive relationship with the person across from you, a little bit of psychology. On top of that I love the asking the questions for the fact that you reframe because when you get an interviewer asking you a questions there can be a million answers. Sometimes especially if they ask you one of those crazy like how many ping-pong balls fit in the 747 or one of those crazy-like make you think questions. Jenna: You’re in a box, how do you know. Austin: A lot of people make the mistake of just, they start rumbling, they’re like, “Ping-pong balls 747 how big is a ping-pong ball, how big is–” And they just start talking through it out loud, but instead if you ask the question you start to set perimeters around what sort of answer can be given. If you say to them, “Do you want to know why I’ve wanted to work for Microsoft my whole life or just the specific role?” The answer that you get from that person is going to totally reframe your answer and because of that your answer is going to be a lot better because it’s going to be much more focused, if they knew in their heads they wanted to here why you’re interested in this role and then you started saying, well I remember when I was six and the Windows logo popped up and it’s my whole life, that’s not going connect with them in their head but by asking the question you understand the framing from their side and you can give a much more effective answer. I absolutely love that. Jenna: Yes that’s great, and thank you for that research that adds a lot. It’s interesting because when we first started in this profession working with sales executives it used to be the 60-40 rule, meaning get them talking 60% of the time and you speak 40. Now what I’m hearing it’s more 80-20, that you want them talking 80% of the time and you only talk 20. With that talk time you’re asking really strategic questions because another piece of research that’s out there is around the leaders of the future, that the leaders of the future around leaders of the future and it’s all going to be about their ability to ask questions and ask questions that disrupt because we all have access to the same information, you spilling out a fact is something that I could have access to but you asking a question that disrupts that’s not something that I have access to because it requires timing, requires reading the audience and it requires an insight. That’s an interesting way to think about that 20% make those questions of insight. Austin: Definitely and the only way you’re going to get there is by asking questions. If you’re sitting there rumbling and it’s totally possible as an interviewee to answer your question concisely, push it back with a question and still have the person on the other side of the table do 80% of the talking because that can be a daunting people are probably listening wondering like, I’m the interviewer or interviewee how the hell am I going to get the person across the table talking for 80% of the time? But it takes practice like you said. I also think it takes a couple more strategies. Walk us through the second strategy here for preparation. Jenna: The So What? is what I calm it. You might have remembered, I walk around with these So What? cards, in fact I have one right here. Jenna: So what? This is the thing that a lot of us miss in conversation, but I want to talk about the So What in two ways from a content and a delivery standpoint and we very rarely think about this one, we do a good job as you said in the preparation of thinking about this one. So What from a content standpoint means that you take everything you say and you communicate very clearly the reason you care about this, the reason this matters to Microsoft. That might be difficult when you’re in an interview, when someone’s saying, “Why do you think you’re a good fit for Microsoft?” Microsoft cares about really radically changing the landscape of digital and I believe that my role– I’m starting with the benefit to Microsoft, let’s say I don’t start that way, I say I’m extremely skilled at quickly reading people and helping land a key message. The reason Microsoft cares about this is that when you’re competing with the Googles of the world you need to be fast, land the message. 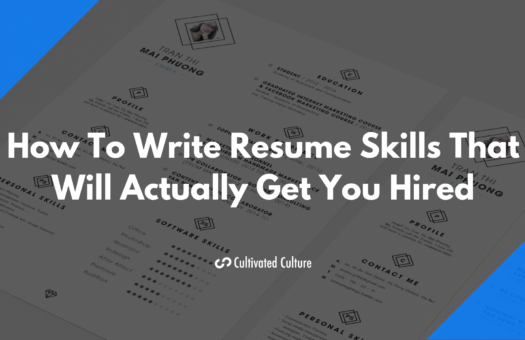 The So What statement is everything you can see on your resume, you want to make sure that your effort in advance of that call is spent communicating or really planning what did they care about about the fact that I’m really good at Excel. I know that’s a cheesy example but I’m a really good communicator, so what? Who cares that you’re a communicator? How is that going to help the company that you’re interviewing with right now? I’m really fast, I work diligently. So what? What do I get from that? Every single thing you’re going to say about yourself, you have a So What message behind. We all that people and we’re also the dreamers at times. We’re like what if you, what if we did this and we’re planning a party. What happens in all of these moments is that we change physically when we’re communicating in these different styles. When we’re in this army sergeant mode, we tend to use gestures like this. Our face is more stern and we’re very clipped with our language. When we’re evangelist, we’re dreaming our hands come up, our face lights up and we have more modulation in our voice. When we’re therapist, we’re really like we’re almost hugging you with our arms. Our voice gets softer. When we’re scientist we might touch our face, we might not. We might touch our head. What we have found and research supports is that if you can do a good job in those high-stakes moments of changing something physically to match what you’re saying on the other side of the table. It will change how you present yourself in that moment. If I see on the other of the table that I’m talking to someone who’s super clipped, who’s using very clip gestures, who seems very direct in their communication style. I make a choice to use these gestures, lean in more, have stronger eye contact and be more crisp in my vocabulary. That style matches, then what I say instantly becomes more relevant to that person’s world. 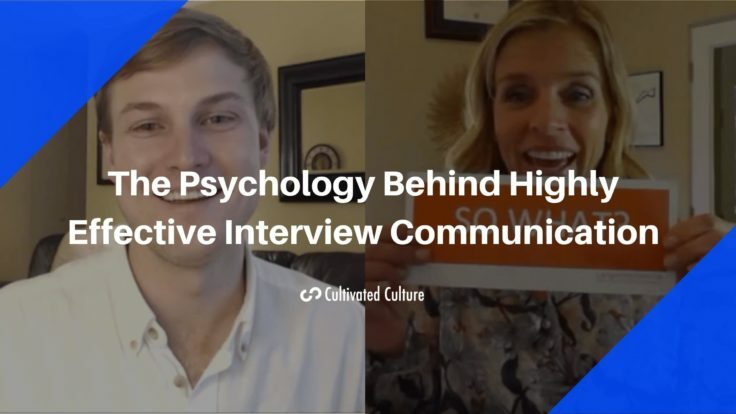 When so much of these interviews are about that gut feeling, your ability to match the communication style of person that’s on the other side of the table is super important. 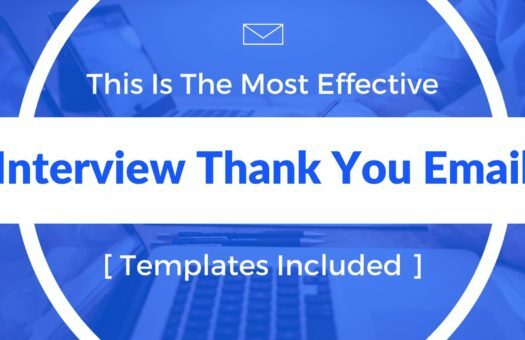 It’s not only the so what of your content, but it’s also creating that relevance stylistically which I want to say to everyone on this call like it is possible. Because most of us, “Well, I don’t want to change my authentic self.” Okay, don’t change your authentic self, but recognize that there’s more aspects to you than just this interview persona. Because that interview persona isn’t fully who you are. Use these characters that you have in you, that’s why I said it’s a little bit of acting to very quickly identify who you have on the other side of the table and then match that communication style. What we are going to do Austin, you can try this at home. I’m going to call out these four styles, army sergeant, evangelist, therapist, professor. I gave you all of the background behind them. Now, I’m going to ask you to talk to everyone who’s watching this about why they should not try to find their dream job online. Jenna: Right, that’s what you’re trying to convince them of. As you talk, I’m going to call out these different characters. For those of you watching it be fun to think about which of these four characters you really grabbed on to, which of the four ways that Austin is explaining this do you find most compelling and why. That’d be an interesting study for you but you’ll also get a chance to see how he does this. Austin: I’ll kick it off, right? Jenna: Kick it off, yes. Austin: – who we are and why that’s so important for their company. I mean, listen, you have a problem, right? Here’s your issue. If you don’t hire somebody you’re not going to solve it. Austin: In order to effectively make sure that you’re addressing that issue you have to find the different way to get in front of the people who really really matter. The people who are going to be advocates for you. The people who are going to influence that hiring decision and actually get you hired. Austin: The reason why applying online doesn’t work is because you just have to look at the data here. 75% of the people apply for jobs online but only 20% of the available jobs are actually posted online. You’re competing against 75% of the people out there for 20% of the jobs. Jenna: Fabulous. Okay. For those of you who are just watching, you’ll notice that Austin didn’t change who he is. I mean, his foundational style was the same but what he added were different delivery techniques, different language that would pull people who have that style in. When he was an evangelist his eyes were lighting up and it went big. His hands pulled out a little more. When he was in that therapist style, he cocked his head slightly and he said, “It’s hard.” We really tried to connect emotionally with what’s going on. When he was an army sergeant, he was driving the point home. He has all of this in him and by me prompting him with these names, he was able to shift physically and the content flowed as well. Now, a way to apply this in an interview is with Q&A. We’re going to try another thing with you, all right. I’m going to ask you question in an extreme style. I’m not going to call it out, you’re not going to know what I am. I’d say an extreme but you’ll kind of pick up on it. Your job is to answer the question in that style. This is for everybody who’s watching the way that you could apply this immediately in an interview. If they’re asking you a question in a certain style, you want to match that style to create more relevance for that person. Jenna: Let’s do it. Are you ready? Jenna: Austin, what do you dream about for this audience? What do you just want them to walk away feeling and believing? Austin: Jenna, my mission in life is to help a hundred thousand people find jobs that they absolutely love. If I can do that, I will feel so fulfilled and so complete. Jenna: How many users do you have right now? How many users are in this platform? Jenna: Tell me some other things they’re saying. What are the commentaries that you hear when you see people giving you feedback? Austin: Yes, for sure. People have great, great questions. One of the things I’ve learned is to have a lot of empathy for these situations because I went through my job search but this community has just opened up so many doors to pass that I haven’t gone down. It’s forced me to learn and get better and understand strategies that are really going to work for those people. Jenna: Okay. Let’s stop there. Okay, nicely done. What style did I ask you the question in at the start? Jenna: It’s evangelist at the beginning, there was army sergeant, then it was that therapist. Jenna: You did that perfectly because you responded with empathy and caring. This is one of these incredible examples of this is not easy to do something in a short period of time and be incredibly successful at it. It requires a lot of work but you can start today by evaluating how people are talking to and how you are naturally shifting your style to create relevance for them. Austin: One of the best way, in my opinion, to do that is to practice but the best way to practice is to actually just get out there and put yourself in this situation. I know a lot of people who are like, “I don’t really want this job so I’m going to pass on it” or “I’m not going to have the conversation with XY and Z person because I don’t really think it’s relevant.” But, instead, you should say yes to all of these opportunities even if you don’t want the role, if you don’t want anything even better because that takes some of the pressure off. You can really go in there and you can implement some of these strategies. If you mess up or they think you’re crazy like you didn’t want the role anyway so it’s all good but you had the chance to get out there and practice it. I always tell people in my audience take those interviews, but also get out there like start sending emails, set up informational interviews with people and get on the phone with anybody who will listen because that’s the low-stress environment where you can actually practice some of this so then when you get in the high-stress environment, you’ve gone through it, you’ve been there, you feel a little bit more comfortable. Jenna: That’s right. Because it’s very easy to stay behind your computer and send messages after messages. Then when you do have a phone call you’re going to freak out because you haven’t been through that experience. You need to practice it as much as possible. Austin: Awesome. We have these exercises now, we understand how to practice to get ourselves in that situation so we know what it feels like before the high impact moment. But, there’s a third piece to your strategy as well, right, Jenna? Jenna: Right. That’s absolutely right. We talked about questions. The questions you’re going to ask, three-second rule on responding. We talked about relevance, so what question, create relevance with styles. The last thing is around presence. How you walk into a room, how you show up. What we call for the for the senior leaders I work with, that executive presence. Trust me, people are absolutely looking at that when it’s face-to-face. Even over Skype right now. All of you who have watched me have have decided within seconds how you felt about watching me. We do it all the time. Think about a YouTube video, a just do it yourself video that we put on, you look at that and you decide if you want to stay with that person or not within seconds. What is involved in this? It’s all about your body language. It’s your posture, your gestures, your movement, your facial expressions which include eye contact, the language that you use, the acronyms, the accents, when I see a lot is you know and like and tentative language which you want to extract from your vocabulary particularly in that first 20 minutes. When you think about presence, you want to think about how do you show up as best authentic self. When you are comfortable, you are in a comfortable posture, not necessarily leaning forward but you’re standing upright with confidence and your hands are moving. Where I see people make mistakes in interviews is they put their hands in their lap. They put their hands under the table. They do some awkward things with their hands that they don’t even know they’re doing. The best idea is to keep them separated as much as possible and then immediately start to use them, but use them in a constructive way. Don’t use them like you’re talking with your hands all the time, you’re in Italy ordering cannoli, but use them with purpose when you say there’s two things that I want to leave you with with regard to where I feel like I can add value. You use the two. You come and you isolate things with your hands. Watch great presenters and what they do with their hands because when you do something with your hands that is tied to your message, it’s sticky. People will walk away and say, “I really liked talking to Austin. In fact, he said there were two things that we should consider,” and they’ll use the exact same gesture when they talk about why they hired you. Thinking about all of those things together, watch yourself on video and I know that this is really hard, but record yourself doing the first minute of an opening of an interview. Imagine you sit down and someone says to you, “Why are you interested in this job?” Put your camera on, record yourself, and then do a self-assessment. What does your posture say about confidence? What do your gestures say about your level of comfort having this conversation? How are you moving? Are you moving as a leader? Are you moving as someone who is very tentative? What does your language say about your knowledge? What about your dress, what you’re wearing, does that show who you are as a person? Thinking about these elements of presents are very important and the best way to continue to monitor it is to watch yourself on video. Go back and watch it and then do it again and again and again and again. You will go into that room and have a better sense of how you’re showing up for that other person. Austin: Awesome. That’s huge I love actionable advice and that is super actionable. Thank you so much, Jenna. You taught us a ton. There’s a ton of value and information in here but for the people out there who may be more into reading instead of watching, I think you have a little something that might help them out. Jenna: It’s funny, we started off this moment when you said the really short interviews, “We need to practice.” I started off my career as a figure skater. Jenna: Talk about a profession where there’s a ton of practice to make something look really, really easy because you watch those figure skaters, they make it look easy. It’s not easy at all. It’s actually physically painful, but the process of what I just mentioned, watching yourself on video and getting out there and trying it over and over again is absolutely how I was raised and then also, what I brought to my profession. I’ve written a book about not figure skating. I’ve written a book about this and it’s called Please Don’t Picture Them Naked: The 10 Steps for Communication for Fully Clothed Professionals. This has a lot to do with pitching but it also relates to the interview environment as well where how you show up and how you really take advantage of that high-stakes moment is critical. By all means, check it out if you find it relevant. Austin: Awesome. It’s on Amazon, yes? Austin: Perfect. I love the title by the way. I was cracking up when I saw it. It’s fantastic, but thank you so much for hanging out with me, Jenna, for sharing all this information. I know people are going to get a ton of value out of it. If anybody has questions, I’ll make sure to pass them your way, but thanks again for your time and we will talk to you again very soon. Jenna: Good luck to everyone on this call.